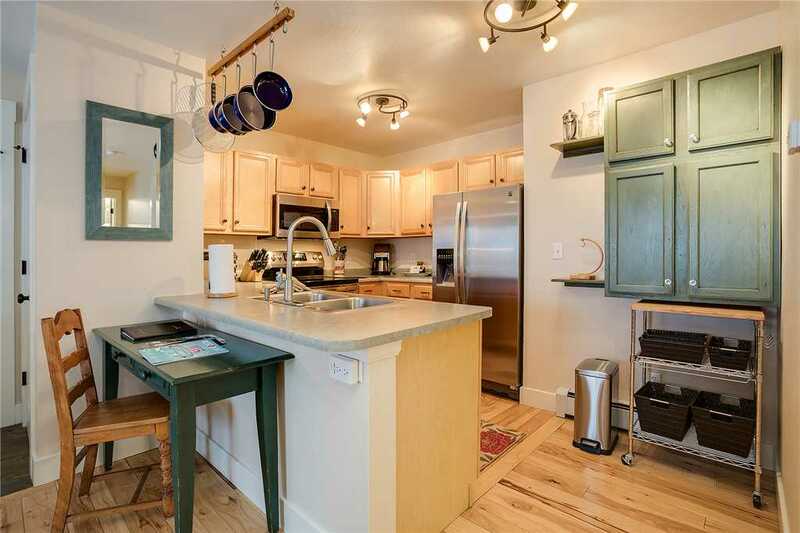 Brighten your stay in this lovely condo! 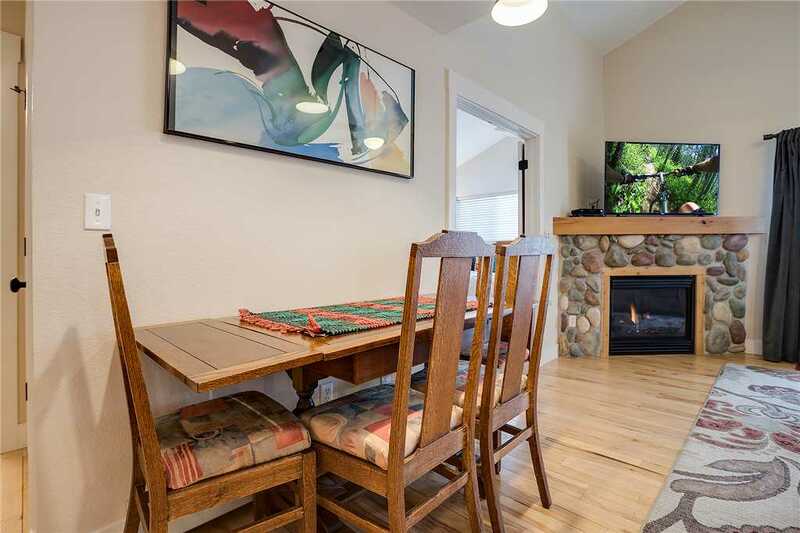 Sun filled by day, glowing by firelight at night, this corner condominium features two bedrooms, one bathroom, fireplace, deck, fully equipped kitchen and a one car garage. 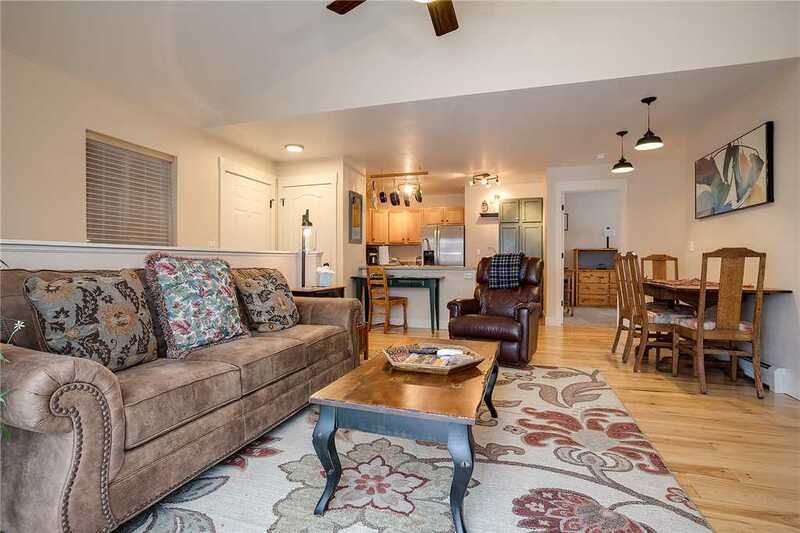 Plus there are three flat screen TV’s all set-up with Blu-ray players and Netflix ready! 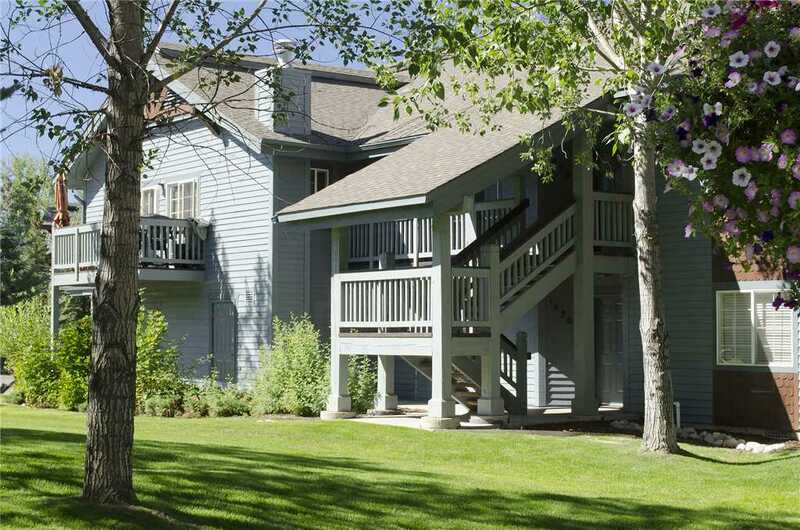 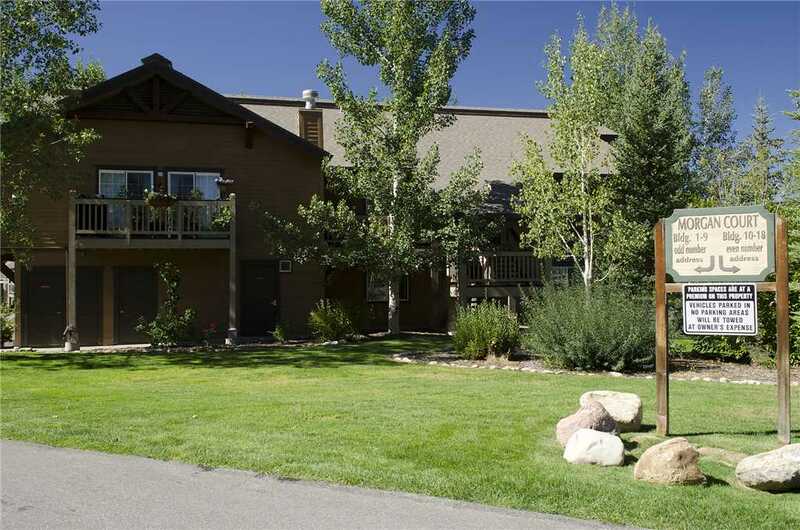 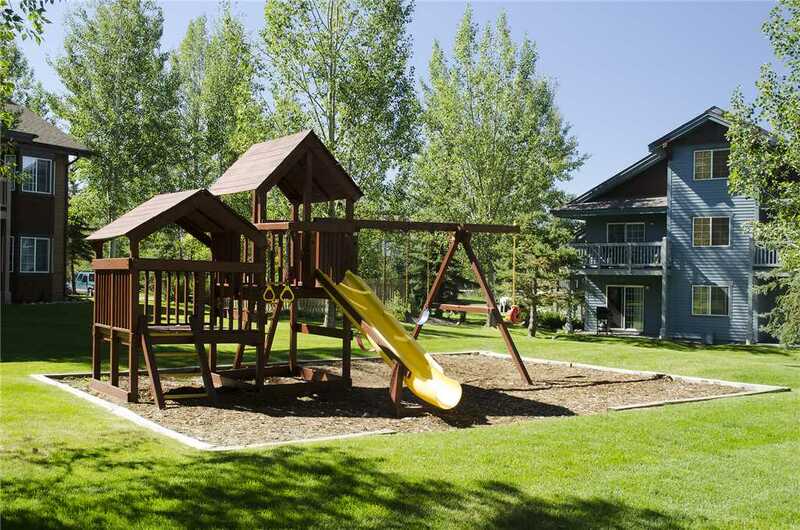 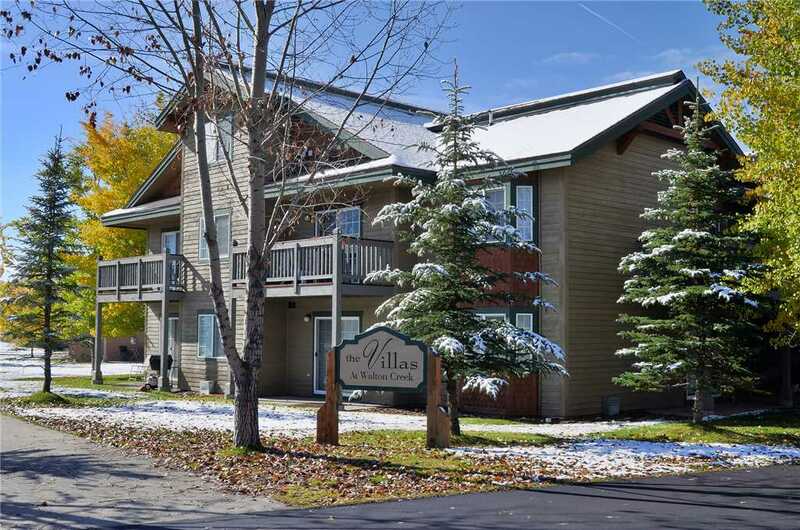 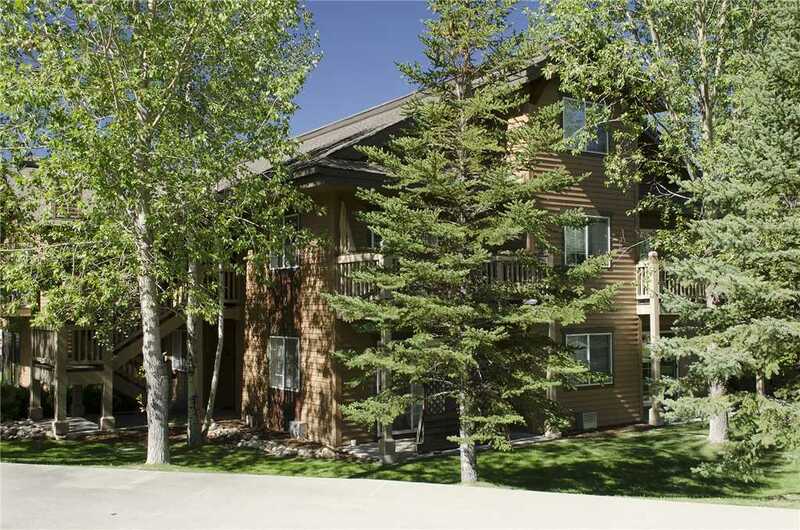 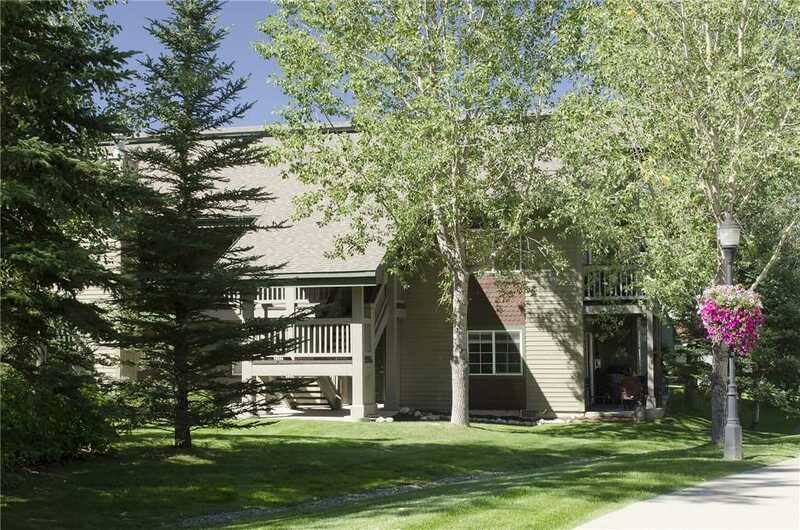 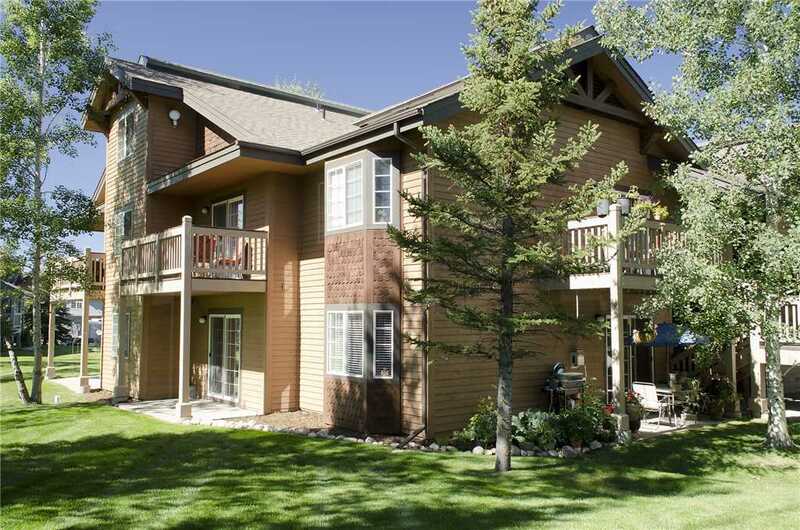 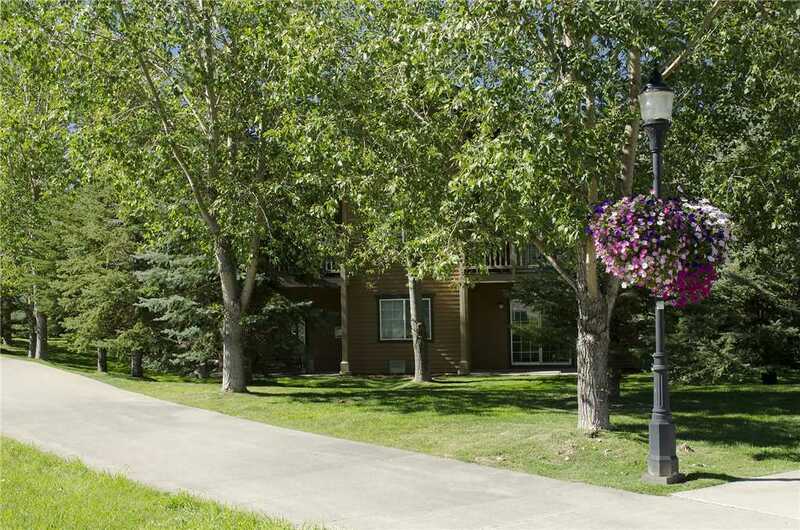 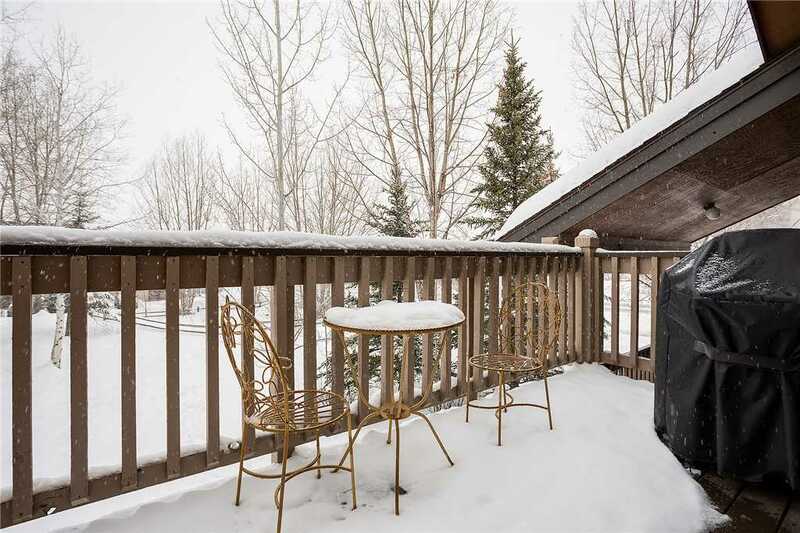 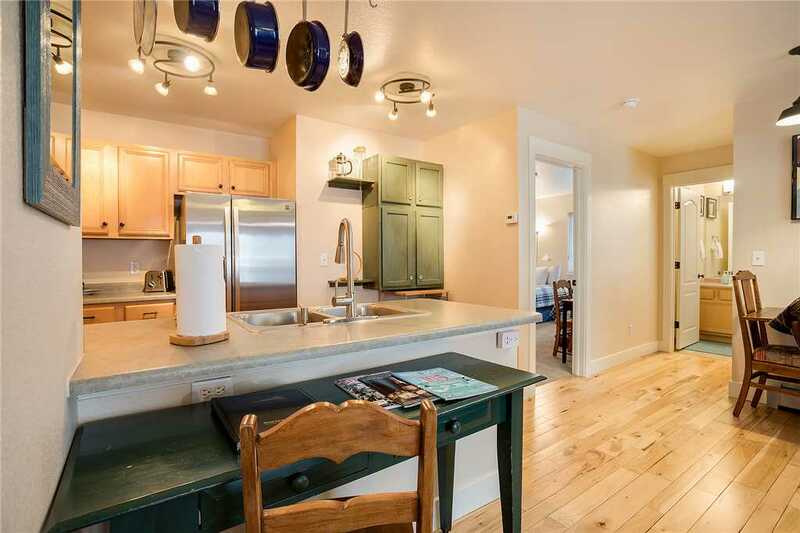 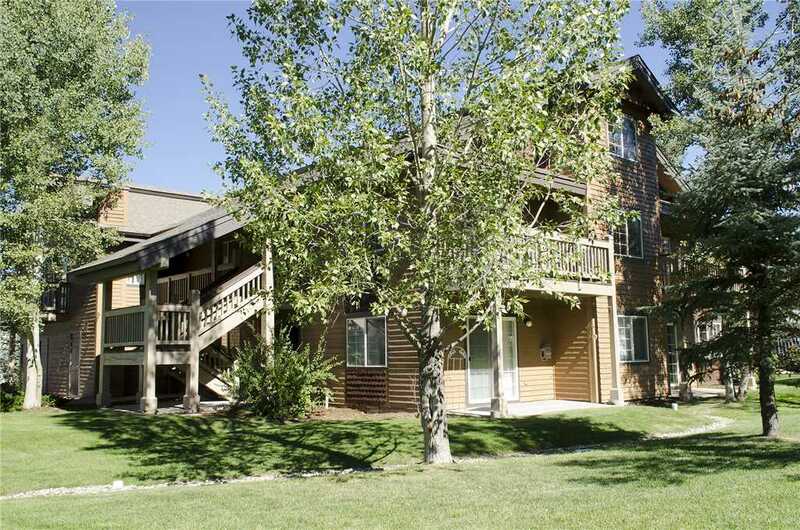 Just minutes from Gondola Square and the ski slopes, this two bedroom condo at the Villas of Walton Creek is an end unit with lots of natural light. 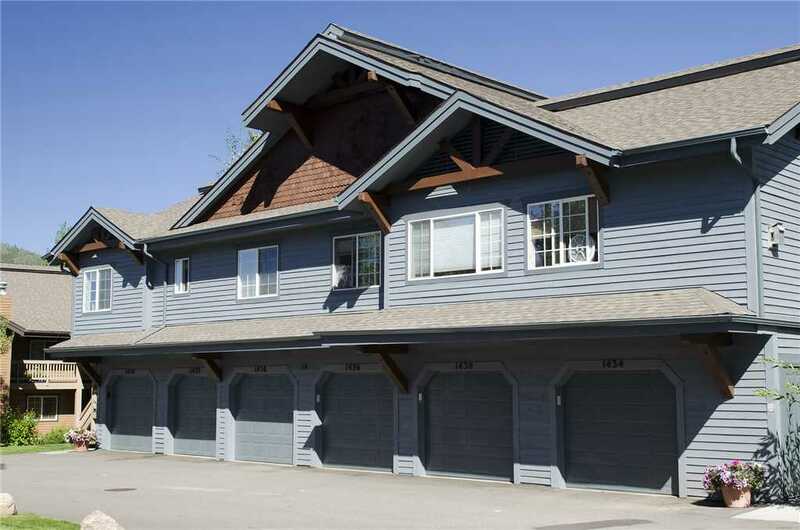 The one car garage keeps your car warm and dry while providing plenty of space to hang your skis and boards, jackets and helmets. 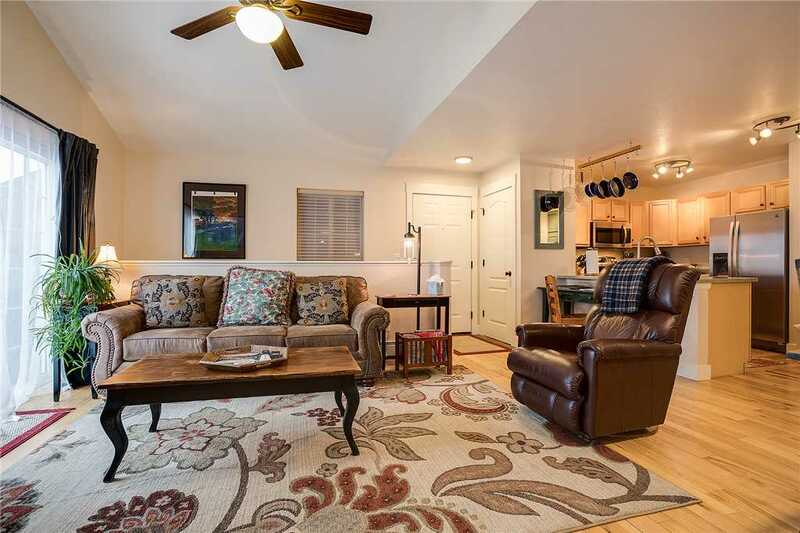 Light pine wood floors are featured throughout the open floor plan where the living room, dining room and kitchen flow nicely together. 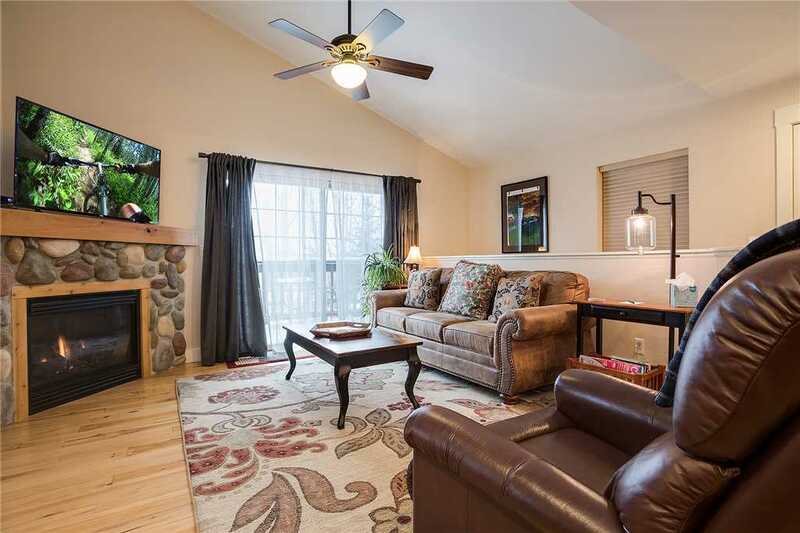 In the living room, relax by the ambient gas fireplace, which features beautiful river rock surround. 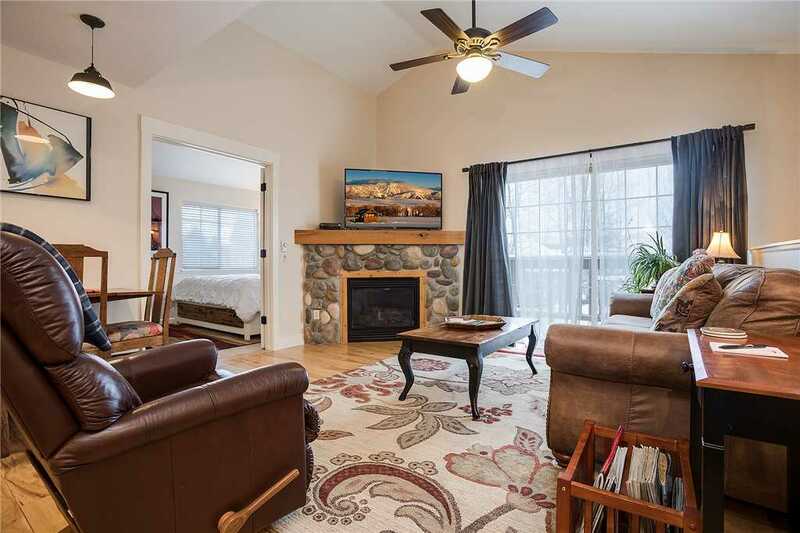 The living room also boasts a brand new comfy sofa, reclining chair and flat screen TV with Blu-Ray player and Netflix access available, so you can kick back after a great day of skiing or riding. 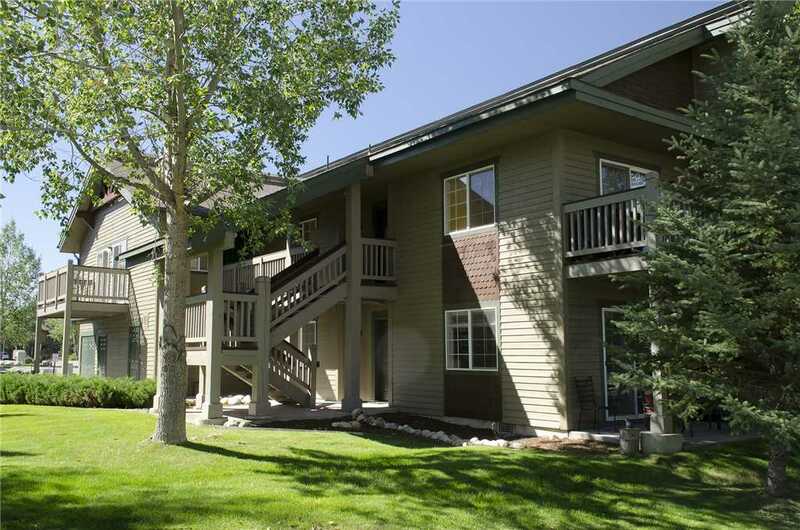 Large sliding glass doors open onto a deck with grill and offer views towards Emerald Mountain and Howelsen Hill. 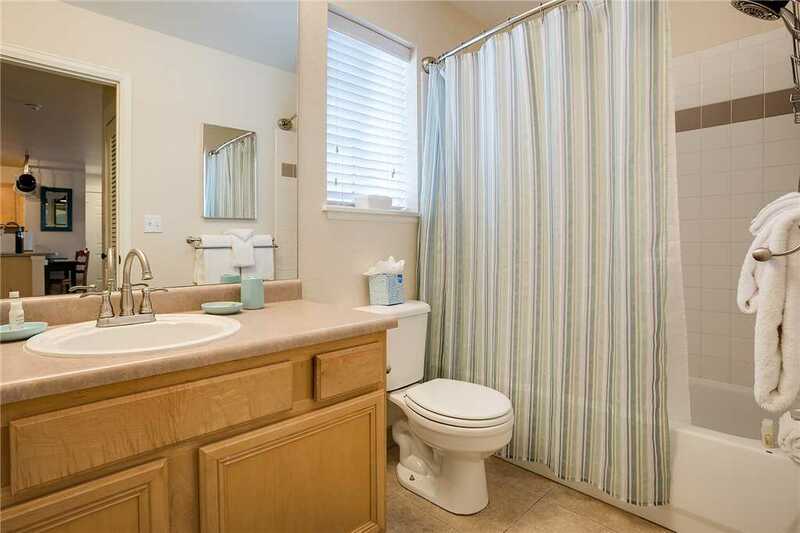 In the master bedroom, you’ll find a king bed, flat screen TV and plenty of space for your clothes in the closet and dresser drawers. 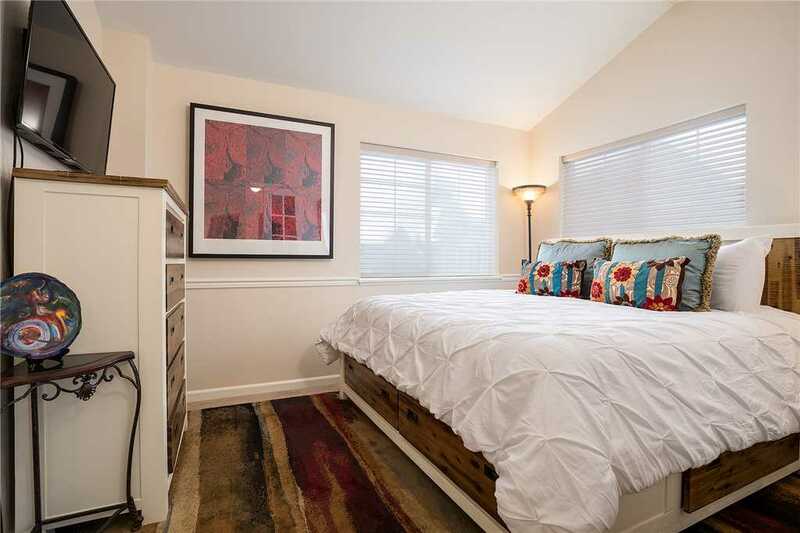 This sun bathed elegant bedroom is also accented by original artwork by artist and printmaker Connie Saddlemire. 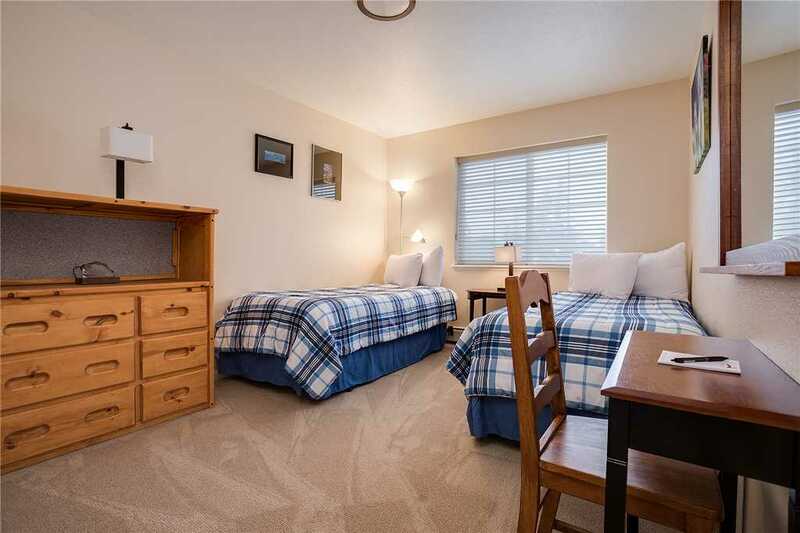 The second bedroom has two twins (these can be setup as a king by request). 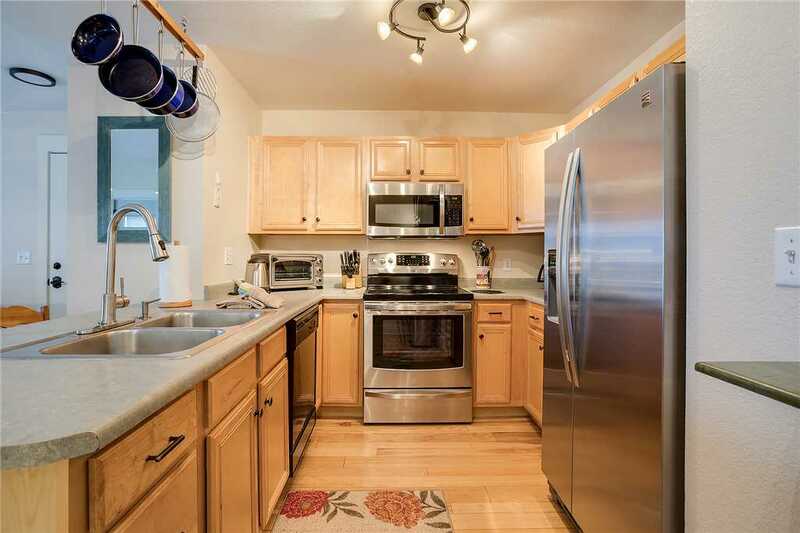 A full size washer and dryer are tucked into the hall closet. 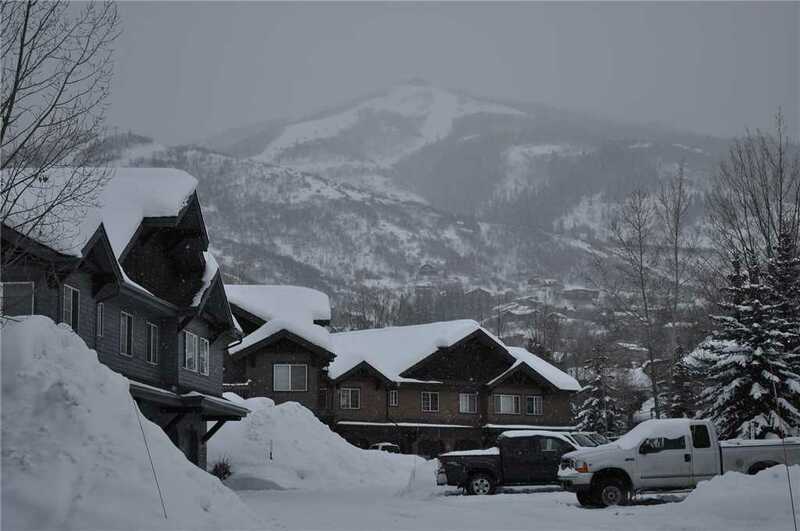 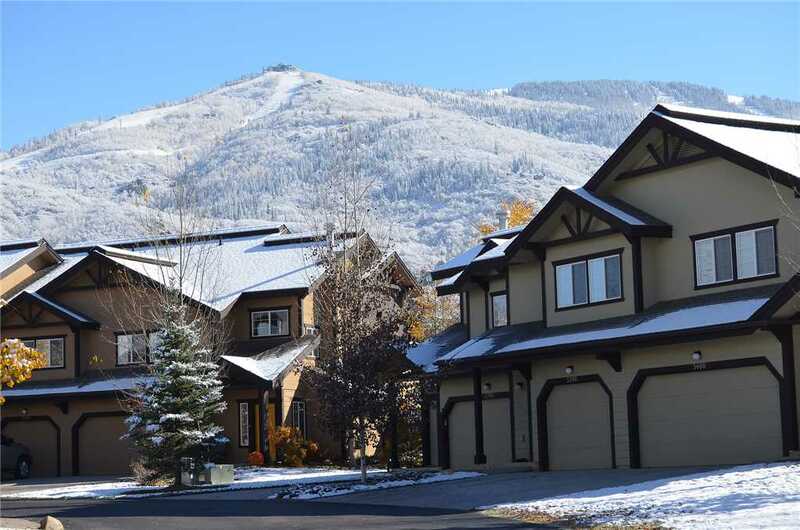 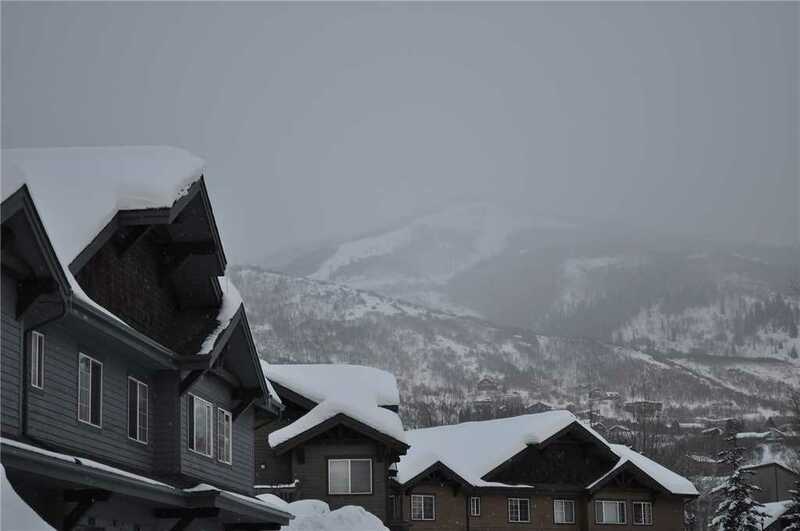 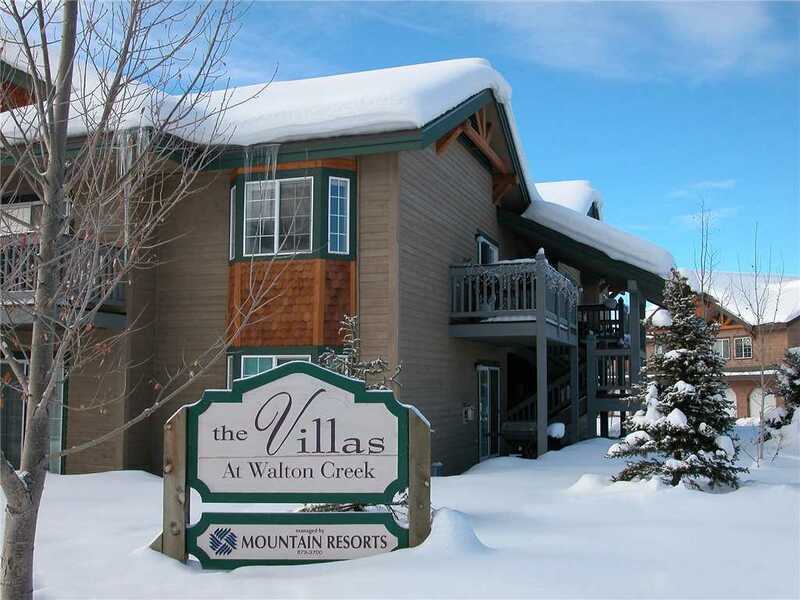 The Villas at Walton Creek are on the Steamboat’s free bus route or hike or bike along gorgeous Burgess Creek up to the Mountain Village and Wild Plum Market. 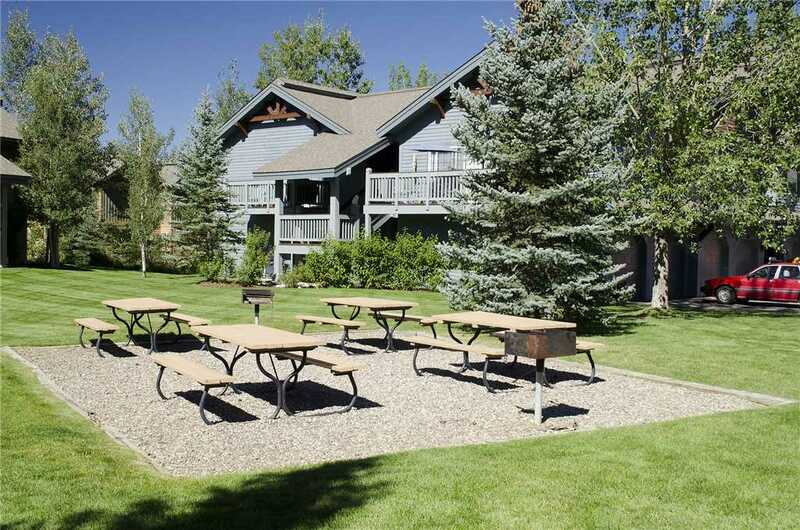 There are two community hot tubs on site for soaking after a great day of adventure. 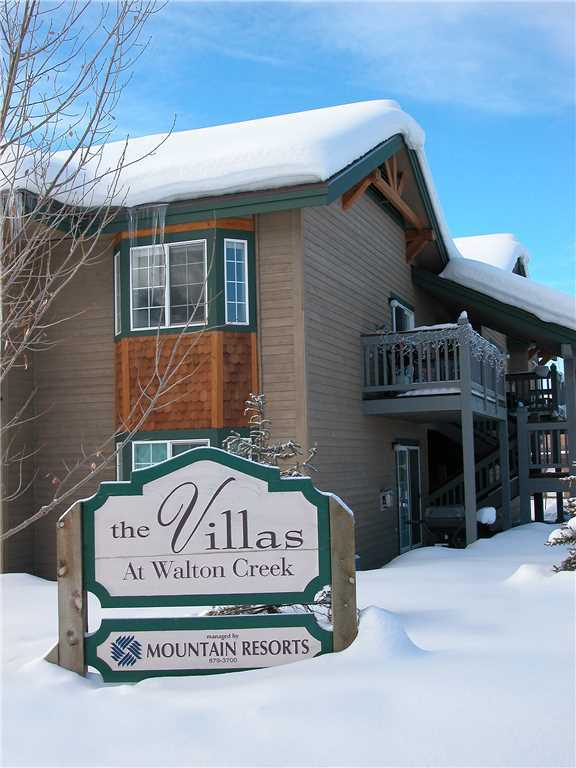 Calculate rates, confirm dates and book V1404 - Villas at Walton Creek online.